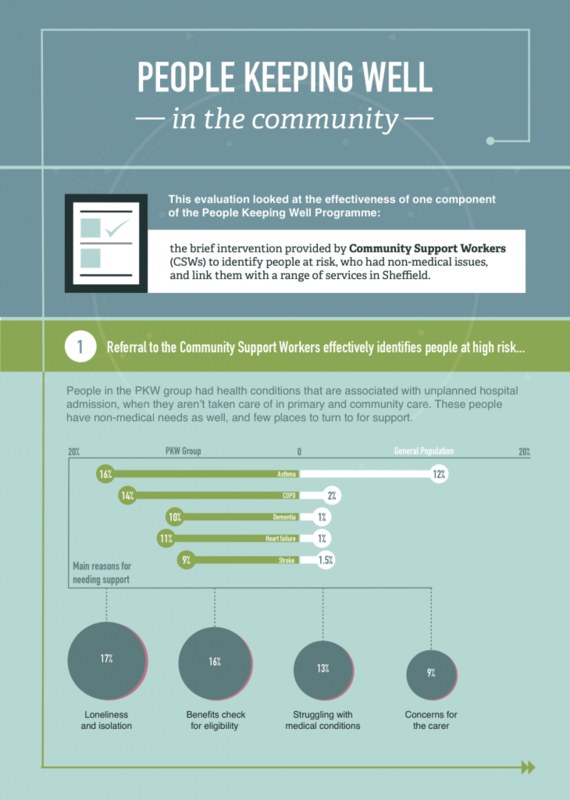 This evaluation looked at the effectiveness of one component of the People Keeping Well (PKW) Programme: the brief intervention provided by Community Support Workers (CSWs) to identify people at risk, who had non-medical issues, and link them with a range of services in Sheffield. 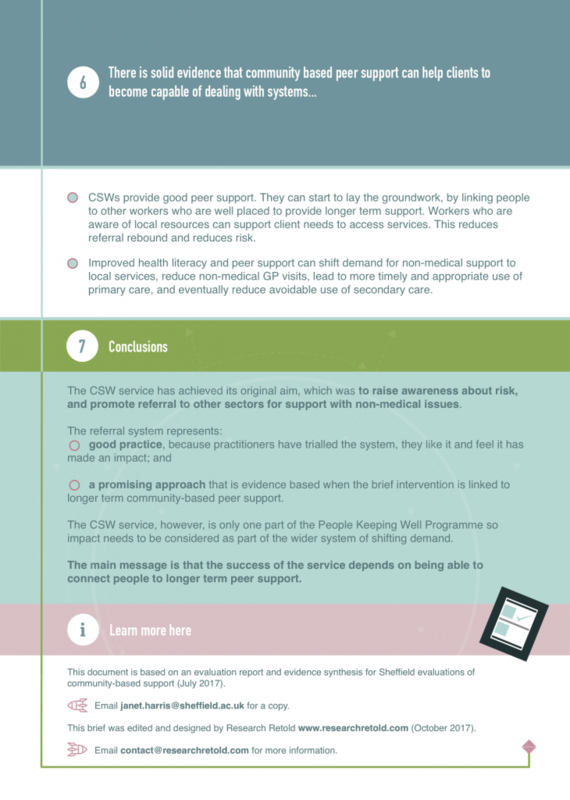 The main message is that the success of the CSW service depends on being able to connect people to longer term peer support. 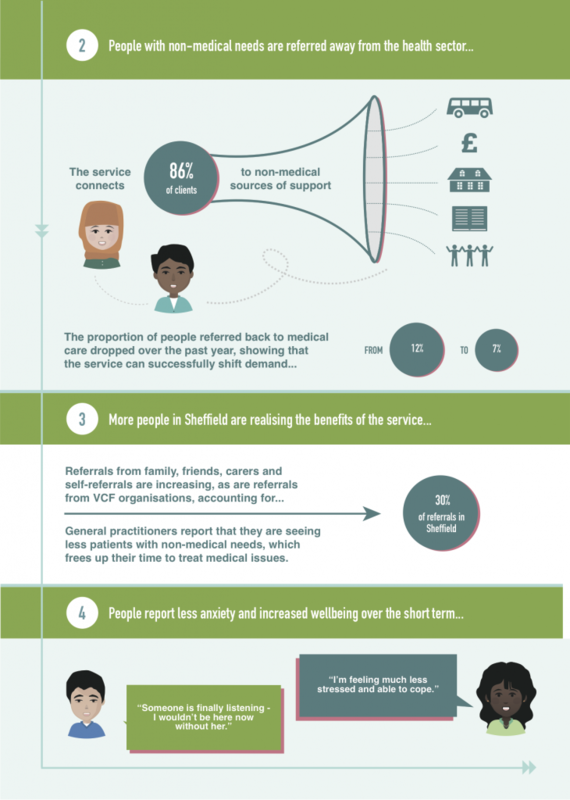 This document is based on an evaluation report and evidence synthesis for Sheffield evaluations of community-based support (July 2017). If you want to get in touch with the research team, email janet.harris@sheffield.ac.uk. 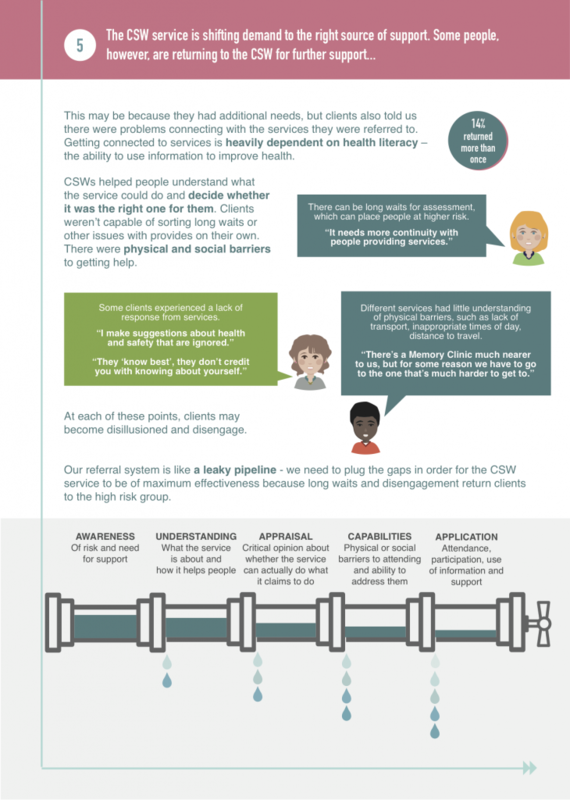 The research was summarised and designed by Mihaela Gruia (@mihagruia).